I'm clopping along Royal Street. It's nearing midnight on Saturday and I'm heading from a show on Decatur, weaving through the French Quarter on my way to the Marigny. In the interest of the procurement of cigarettes, I bolt into the first bar I meet. The Golden Lantern is draped in a humble and inviting facade, and inside a U-shaped bar fills the main room. Low lights are interrupted by the glow of a cigarette machine and a television playing music videos. I stuff a five-dollar bill into the machine, then go over to the bar. I don't intend to stay. Clancy DuBos is the co-owner, editor and longtime political columnist of New Orleans paper Gambit Weekly. 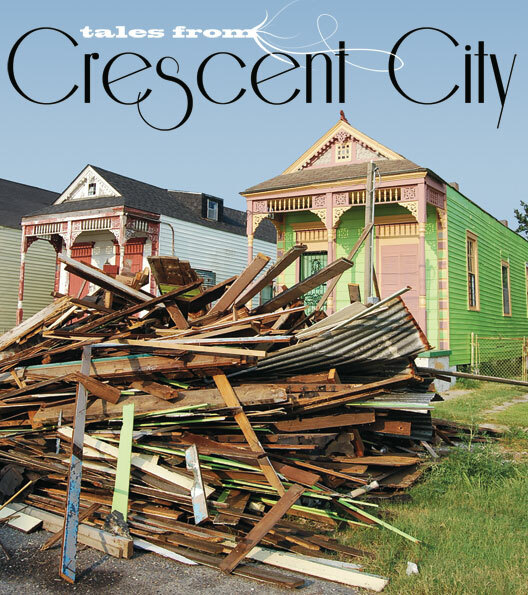 Since late 1980, he and his wife, Margo, both native New Orleanians, have been publishing the alt.weekly. With two feet of water in their offices and staff scattered around the country after Katrina hit in 2005, the paper closed for nine weeks. Fortunately, AAN (Association of Alternative Newsweeklies) came to the rescue, and the Gambit not only located its staff, but papers around the country raised more than $100,000 in donations that went to the DuBos' employees. DuBos says they knew the paper was out of business temporarily, but never thought it wouldn't come back. When it reopened on Nov. 1, DuBos, who became the paper's editor for a third time, had four minutes on CNN that morning to discuss this milestone in New Orleans' recovery. These days the paper's circulation and number of employees isn't quite back to its pre-Katrina level, but it's not too far from it. DuBos says the level of camaraderie between the staff and the paper's relationship with readers are better than ever.